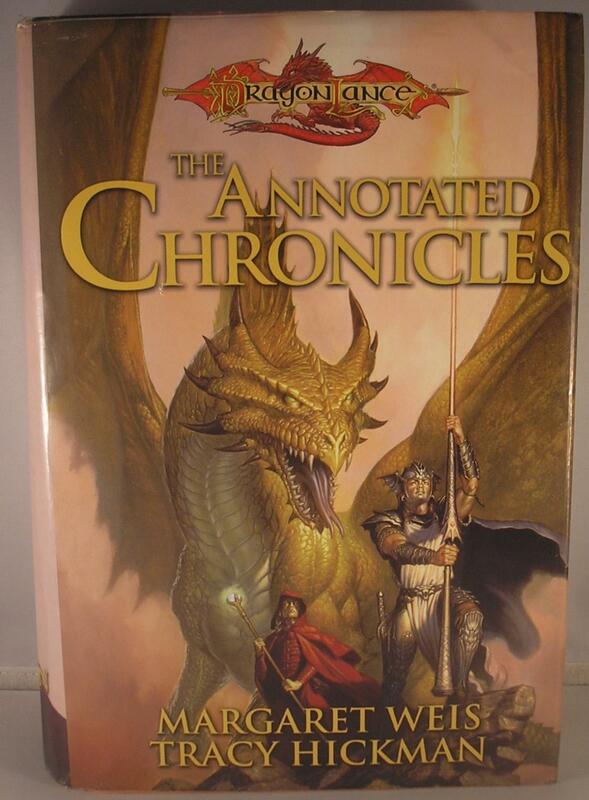 Dragonlance – Reading with a Writers eye. Dragonlance. Good pulpy fantasy. And it is pulpy, as much as I like it. It’s a book series based off a Dungeons and Dragons campaign. There are formulaic parts, and early on, the characters aren’t super well defined. That being said, it’s just good solid fantasy. Now I’ve owned this ‘Annotated’ copy for years now. But it’s been more than a few since I read it. I recently came across it again in my books, and being in between series, decided to pick it up again. I’m very glad I did. See, the annotations included with the book are by the authors. The last time I read this I hadn’t even begun to start writing, it was only a super vague idea and hint of a thought. Now, after pushing out 4-5 books, picking this up and reading the story AND the authors notes, has made for a very interesting read so far. One, the notes give a great deal of background information, why decisions were made, how the characters grew, and the thought process that went into making various plot points. In short, it’s a view into the two authors mind about the story. And some rather interesting take aways on back story, timelines, and giving the world your creating a history. Giving the readers a sense of time, that they aren’t just being thrown into a new world with no anchors to make it real. Is Dragonlance great epic fantasy? I don’t know. It’s a little long in the tooth these days, and while some of the characters seem cliche now, I’m not sure how cliche they were at the time. But still, I’m finding this read through, reading with the eye of a writer, a very interesting, and rewarding experience. In other news: Bridgebreaker, the second book is being released the 12th, so in a week. I have no idea how the pre-orders have gone, I’m not sure there is a way to even see that. I have lined up 5-6 release day reviews as well. I shot for ten, but doesn’t look like that’s going to happen. So I’ll take 5.